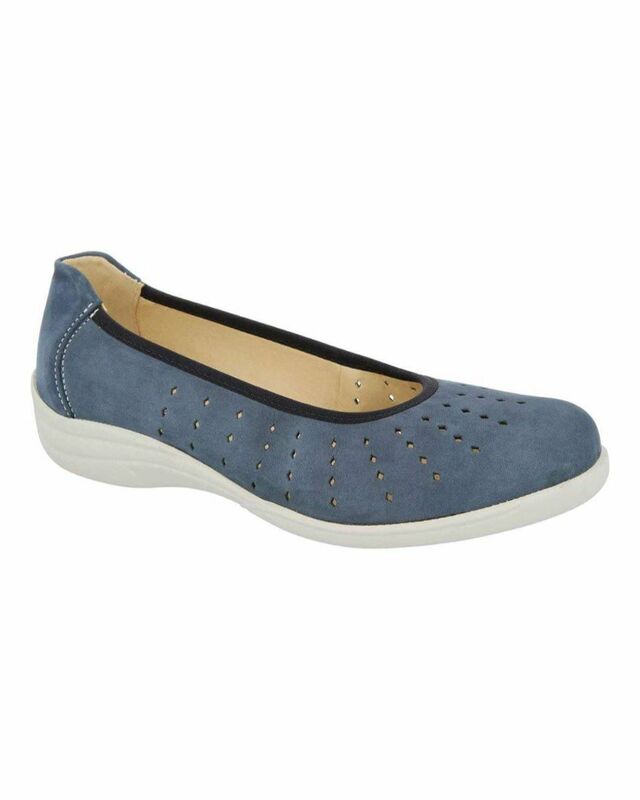 Ladies Easy B Oban Shoe with a removable leather inner sole. Lightweight and comfortable slip on shoe with an extra deep toe box. Removable leather inner provides variable sizes of E-3E in one shoe.